The Hawaii Air National Guard flew C-46 Commandos from March 1946 through September 1950. The C-46 was known as the “Plumber’s Nightmare”. This undated photograph shows a Commando maintenance crew. 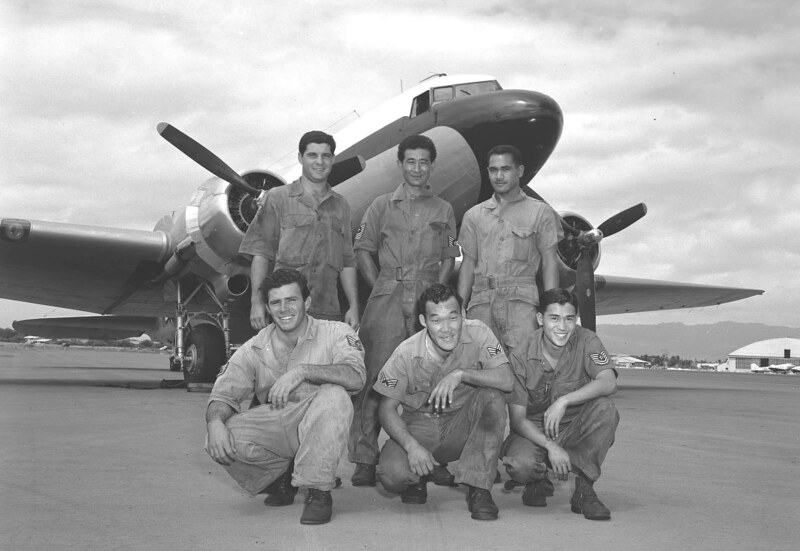 – George Kaneshiro identified the airman standing on the left as Baptiste, although uncertain about his first name, possibly William. – Simanu “Sam” Afoa, standing on the right, is recognized as the first Hawaii Air National Guard member of Samoan ancestry. He was from originally from Maui. He continue his maintenance career and was a member of the quality control office when he retired in the early 1980s. Sam was the North Windward Baptist Church minister for many years. Sam passed away in 2007. – All others in the photograph could not be identified. Early on, the C-47 was used to transport pilots from Hickam Field to Bellow Field where the HIANG aircraft was located. By 1948, flight operations move to Area 65 on Hickam Field. During the year, the HIANG received its second C-46 and began regularly scheduled air freight and passenger service between Hawaii Army National Guard units on all the islands. In 1951, the Commandos were replaced with C-47s Skytrains, more commonly known as “Gooney Birds”. Wondering where Area 55 is? 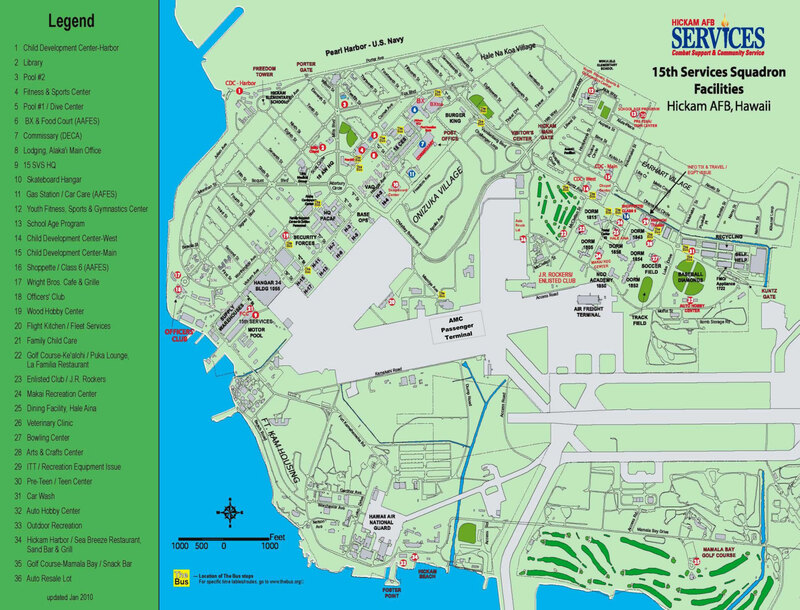 it is in the Kamakahi Road area, just below the Flight Kitchen #20 on this Hickam AFB map.